Proper bolt tightening is crucial to the safety and efficiency of most mechanical devices, and torque wrenches and bolt tensioners are among the most common means of tightening large bolts. In most cases, bolts wind up under more stress and need to provide more clamping force as the equipment grows more powerful or heavier. When dealing with larger bolts, hydraulic wrenches or tensioners are necessary to tighten bolts to a point that they’ve created sufficient clamping force. What’s the difference between torque wrenches and tensioners? To answer that question, we first need to look at the theory of bolt operation. Although bolts can provide support to the objects they are clamping, their main purpose is to deliver clamping force. This force comes from the spring tension intrinsic to the tightened bolt. As the bolt is tightened, it undergoes a microscopic stretching. But the bolt’s original make-up includes an elasticity of material that leads it to want to revert to its shape before this stretching occurred. This tension leads to the clamping force, and works to prevent loosening with the help of the friction from the bolt’s threads. Therefore, guaranteeing and maintaining proper clamping force will ensure that enough spring tension is created in a bolt upon tightening. Torque wrenches and bolt tensioners each create this spring tension by stretching bolts, although they use different methods to get to that goal. A torque wrench generates spring tension through the amount of rotational force it applies to a bolt. As the wrench applies this force, the threading pulls the nut face and bolt head close, stretching the bolt and generating clamping force. It’s the most commonly found method of supplying load to a bolt. A large amount of torque is necessary to provide high clamping force. A hydraulic wrench can supply this kind of force. Torque in hydraulic wrenches is controlled by hydraulic fluid pressure; the higher the pressure, the greater the amount of torque applied to the bolt. Hydraulic fluid does not compress, which means it provides highly consistent and precise torque values. 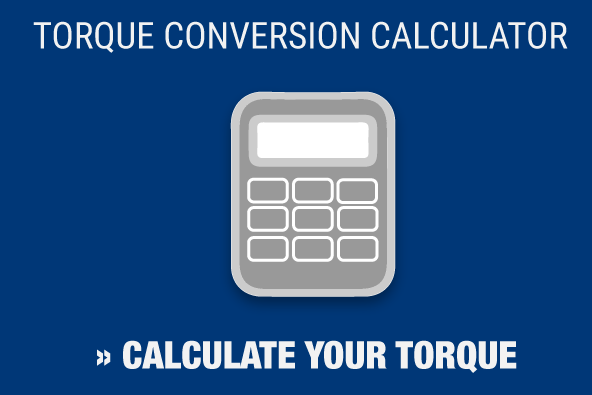 For the highest potential accuracy when determining torque for a specific application, it is vital to consider a number of other factors that can affect the amount of clamping force applied by a particular level of torque. A bolt tensioner preloads a bolt and stretches it before a nut is installed. The tensioner gets held to the threads of the bolt and pushes against the flange of the surface that is being bolted. By doing this, the tensioner provides a steady amount of stretch to the bolt, thus making sure the bolt receives consistent stretch and clamping force. There is a downside to using bolt tensioners, in that the user needs to consider a number of factors in selecting a tensioner with each application. Both torque wrenches and bolt tensioners come with benefits and weaknesses. The important thing is to use the method the manufacturer recommends to be sure that bolts receive the proper amount of tightening for each application. For more information on bolt tension and tightening torque range, download MaxPro’s torque/tension specification sheet.